Calling all monsters and masters of mayhem! Do you plan your Halloween costume months in advance? Does your house always have the scariest decorations on the block? If you’re obsessed with zombies, ghosts, and all things that go bump in the night, then the Halloween and HauntFest is a must-see. This show for pro haunters and Halloween enthusiasts is coming up next week, August 26-27 at the Mesquite Convention Center in Dallas, Texas. HauntPay is excited to be a sponsor, and we hope to see you there! In addition to a HUGE tradeshow floor with expert vendors from all across the industry, there will be more than 40 workshops and seminars where you can learn tips and tricks from haunt industry leaders that will help you create the creepiest decorations, perfect your scare acting or throw a spooky Halloween party! Click here for a full schedule of classes. 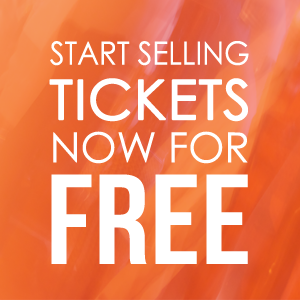 Our team will be on the show floor all weekend and we would love to give you a demo of HauntPay’s industry-leading technology and help you get started selling tickets for FREE. Whether you’re a professional haunter, operating a charity haunt or even if you’re just starting out in the industry, we can help. Stop by and say hello! Learn more about Halloween and HaunFest here, and don’t forget to snag yourself some tickets to the show!